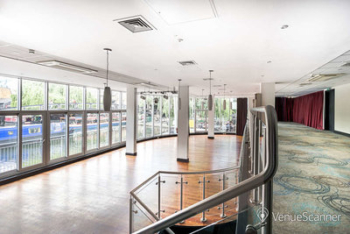 Last Monday we announced our first Head for Points Summer party, in the light, sunny and airy Glasshouse suite at the Holiday Inn Camden Lock. We proposed Tuesday 3rd July. Unfortunately, as we hadn’t got our World Cup wall charts up at the time, we didn’t realise that there is a potential clash with an England football game. It isn’t guaranteed, but it could happen. We are going to move the date to Monday 9th July. There are no games on that day at all! we are lining up a very generous raffle prize for one lucky attendee! We will make a full announcement on Tuesday and we anticipate tickets going on sale on Thursday. Apologies for any confusion from switching the date, but it is definitely going to be worth it. Until midnight tonight, 17th June, over 90 British Airways long-haul routes can be redeemed at 50% off, but in Economy only. Unfortunately taxes, fees and carrier charges are NOT reduced and will set you back around £350 per person (£275 for the Middle East). This offer is for flights from or to London Heathrow and Gatwick between 1st September 2018 and 31st May 2019. In reality, despite what the rules say, regional departures seem to work OK too. If you live near Inverness this means that you can wipe out the Air Passenger Duty by starting from there as it is exempt. One way redemptions are allowed. You cannot combine this offer with a British Airways American Express 2-4-1 voucher or a Lloyds Avios Rewards upgrade voucher. Avios part payments are excluded from this offer, but Avios plus cash is included. The reduced Avios price will automatically be applied when booking. Hong Kong for 19,500 Avios +£341.35 (peak 30,000 Avios). Of course, even at half price most of these deals remain poor. Should I want to go to Dubai, for example, it will cost me 13,000 Avios + £259 on an off-peak date. Cash tickets can often be had for £295 to £325 which means that the redemption is still a bad deal unless you need the flexibility to cancel if needed. That said, do the maths. If you are travelling in high season it may still make sense. Whilst economy redemptions are usually not great value long-haul, this offer would make sense if a cash ticket would otherwise set you back £550 – £600 or so. This would value your Avios points at 1p each which is fine by us. You must book by tonight for travel between 1st September 2018 and 31st May 2019 to redeem for 50% fewer Avios – and 0% fewer taxes. The special offer page for the deal is here. IHG launches new upscale 'conversion brand' voco - but what is a 'conversion brand'? I just checked an INV departure and still £275 taxes and charges payable??? Note that if you start from INV you can do the INV-LHR leg in Club Europe for free. I just did INV-LHR-TLV with INV-LHR in C and LHR-TLV in Y for 5000 Avios and some cash (in previous sale). Useful especially if there is no award availability INV-LHR in Y, but there is in C.
As an aside – from this leg I managed to get 10K Avios + 300 Euro EU261 compensation per person for no special meals + flight delayed 3.5 hours – so I had a net gain of both Avios and cash! how many people want to fly INV-TLV tho….. Same will apply to any long haul flight bought in sale, if you start from INV (to save APD) you can fly the first leg in CE for free. Free of Avios, yes, but also free of additional ‘taxes’/surcharges? The extra taxes/fees are far less than the APD you save by starting in INV. Same also applies for JER – if you start flight from there you can fly first leg in CE if long haul is in Y.
with regards to the world football cup there is a tiny gadget called ‘tv b-gone’. it cycles through all the remote control codes to turn almost any tv off. it’s great for lounges where lots of grown men (and it’s normally just men) are getting a bit over excited and loud watching some other men kick a ball around on tv. One press and the tv will go off and you can get some peace and quiet when in the lounge. Oh Leo that’s a tad sexist, more and more women are going to football and I speak as a season ticket holder at White Hart Lane and a women for my sins. Indeed, COYS…..when are you ever going to win the league again? That sounds very selfish indeed. I bet you carry one of those seat recline locks as well! Can I just point out this wasn’t me. If I had to bet I would say the QF lounge. Followed by BA. I presume this must be a large hook? Nobody thinks this way do they? I do agree with the unfortunate Debs though that there are, thankfully, a good percentage of women at Premiership matches these days. Also anyone who believes women are quiet and demure at football matches have neither met my female friends or the ladies in my family. Or you could just go somewhere else! OT just arrived on Hamilton Island in the Whitsunday in Aus, my husband is asking why we are only here for 3 nights. Free non motorised water sports if booked direct, Palm Bungalows are suiting us ( most likely more price conscious & less fancy than many HFP readers). Our most expensive Aus option so far but very happy with it. Do they do free sailing dinghies? Yes the Hobie Cats are free, in theory you need a group lesson if you haven’t sailed one recently but in reality one of the beach guys has a quick chat and you are good to go. That is just for use in the bay. Breakfast also included. No need to hire a golf buggy unless you can’t walk 500m to the Marina for more food options. We went sailing on Lady Enid (out of Airlie Beach) beautiful old wooden boat only 7 guests, just could have done with more wind. Im not sure that many England squad players would be wanting to attend, Rob. However its nice of you to consider them! Whatever stage of the tournament this is, im sure they will regrettably all be free! The clash would have happened if England came 2nd in their group, which is what I expect since the chances of us beating little Belgium are clearly nil. Of course as Belgium is nearly made up of the Spurs Team. Anyway saw the England Bus parked in the short stay car park. Maybe if they only played against England with their Spurs players, England could win. Gotta stand a better chance against them without Courtois, Hazard, Lukaku, De Bruyne etc.In fact, Belgium would only field 3 players. I reckon even England could win that one. The restaurant can be found in one of the oldest buildings in Looe, still largely preserved in its original form with the cellar and loft dated at least 450 years back. Sitting back in the comfort of the special atmosphere generated by its associations with the 16th-century smugglers, it is not difficult to imagine the old sailing boats of the early 1500s moored to the quay outside. In this historical setting, guests can enjoy a diverse menu including mouth-watering steaks and locally-sourced seafood, as well as a choice of sides and desserts. Meals can be complemented with a selection of wine, spirits, draught beers and ciders. Just tried this one (6 pillows). “Sorry, the code can’t apply to this purchase. Check the code’s rules.” when I enter HELLO15, and nowhere to enter a BAEC number? Thanks, I will try the A16/£ route. KBuffett probably lives in john o’groats so looe is not very convenient for a sea food platter!! ???? You could try a new Mac Book . £1680 + gets you 27,00 Avios , at 1p a point thats over 15pct discount. Not easy to get on Apple products. The HELLO15 only works with local deals. Anyone else finding that if you open the home page in Safari it disappears 2 seconds later? It works on Chrome ok. Rob? Works fine on internet explorer on my £200 Windows laptop ???? Wonder if the tv b-gone is on there? 15 avios per £1 spent on hotel bookings via avios.com’s hotel booking site. I’m looking at dropping £5k on a hotel booking and 75k avios means a lot to me. Do people trust this platform to pay out avios? Will it still pay given its impending demise? How much is the hotel on other sites? Try Trivago. Inevitably sites offering avios charge more and you wont get loyalty points either. You are in essence buying avios. Then you have to try and use them, let alone for a flight bargain. I tried trivago, travelbag came out £100 cheaper. However, I’m taking a punt – I’ve booked through avios.com. I’d be sceptical of this. Someone is buying 75K Avios and that has to be factored in the price of the hotel. But it’s really all about price, If the price is competitive than why not chance it, but I’d never count on the Avios with a shopping portal. Too much experience of amounts changing (hotels.com) and non payment (Hilton). At least when Microsoft cancelled a previous award they quickly accepted the mistake and reinstated it. Great news on the sponsor. Better try and change my hotel booking I had made in anticipation of getting a ticket! Lloyds upgrade voucher – I have spent £7000 and confirmed on my recent statement – when should I expect to see the voucher? Am I right in thinking it will still currently drop in to my Avios vouchers section? Just a bit concerned it will fall in to the black holes. Couple of days to a couple of weeks. You’ll get an email informing you when it turns up. And what I value most is the flexibility – as a GGL I can cancel up until 24 hours before the first flight! Regarding the flexibility of these avios tickets, if I was to lock in a flight today, what would happen to the avios required if I needed to change the dates later? Back to full price? Yes, it would reprice at full. On the BA deal, if I want to book a multi city trip (LHR to BOS, then MIA to LHR), does booking two one way trips online work out the same tax/fees wise? Our do I need to call BA to book in one go? It will be substantially more (this only applies to US trips). You’ll probably save £200 by calling BA. I normally don’t give these Avios economy deals a second glance, but I’ve picked up some exceptional value out of this one. Booked a number of return tickets to Jordan for various family members – travelling in peak times. Saved them hundreds vs the cash price – especially when you realise that the lowest cash price doesn’t actually include a checked bag anymore! Ok, so its not travelling in CW, but the savings can’t be sniffed at for a 5 hour flight. Are you sure? Amman wasn’t included in the offer last time I looked. If you get stuck then isn;t this one of Ryanair’s destinations? Off topic – can someone please confirm if Amex still do pro-rata refund for card fees. I think this changed in US a while back, but in the UK are we still eligible? Many thanks in advance. Would the pro rata refund including BA Amex? Yes, BA Amex has a pro-rata refund. Used vueling for man bcn trip this weekend. IAG obviously trawling new depths. I see the north doesn’t qualify for short haul flights from BA. Flight over only left an hour late. Looks like our return flight went tech and we are now sat on an alternative plane on the tarmac somewhere in bcn. Should I be grateful another plane was on standby? You can dress a turd up all you want Rob but it is still a turd. So you might get a nicer seat and some food but it is still their frankly atrocious and despicable staff, terrible delays and frankly sadistic customer services. Hang in there if it gets to you landing over 3 hours late then EU261. Over 2 hours and they owe you appropriate food and drink for the time of day, accommodation if it turns into overnight, transport to and from said accommodation, whatever the reason -mechanical issues is not an exemption (nor from EU261). You might be lucky with Vueling – could run to 3 hours delay. Easyjet seems to be around an hour late on particular routes all the time particularly in the summer, and Ryanair somehow seem to scrape in taking off just 5min short of having to provide care (food, drink etc) over and over again. But Vueling might slip up. If they won’t provide those things or delay unreasonably then just get your own and claim back (within reason). Seriously though, good luck and I hope your wait on tarmac is not too long. I think in Europe they have to let you out of a plane if it’s been on the tarmac a certain period.. I think 3 hours.